PROSECUTOR: Robert J. Candido, Esq. At the law offices of LS&P Lawyers we have a team of lawyers with years of experience in defending individuals charged with DWI, criminal offense, and traffic violations. Not only do we have extensive experience and a record of success, we also have specialized training in DWI defense. We are certified in the field sobriety tactics and Alcotest used by the police in drunk driving arrests. Few attorneys within the state of New Jersey have these certifications. If you or someone you love has been arrested in Cedar Grove, call us at 908-709-0500. We are available 24/7 for a free consultation. Brining us to court with you is your best defense! Why would I appear in Cedar Grove Municipal Court? 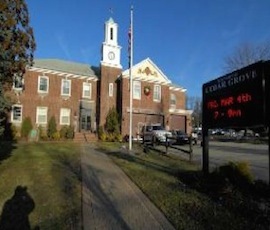 In Cedar Grove Municipal Court, the Honorable Nicholas S. Brindisi hears disorderly persons offenses, traffic violations, and DWIs committed in the Cedar Grove area. A disorderly persons offense could be a number of transgressions, including but not limited to underage drinking, criminal mischief, simple assault, possession of less than 50 grams of marijuana, possession of drug paraphernalia, shoplifting, and petty theft (amount stolen valued at less than $200). While these may seem relatively minor, major consequences can arise if you are convicted. Without an attorney the chances of conviction are much greater. Be prepared and have one of our experienced attorneys on your side. The lawyers of LS&P Lawyers can provide you with experienced and renowned representation. We are located at 123 North Union Ave in Cranford, NJ 07016. If you are seeking our help or just want to talk to an expert attorney, contact our offices right away at 908-709-0500.